Experienced fishing guides are available to get you started your first day on the water or to help you get into some of our walleye, lake trout, smallmouth bass or northern. Booking your guide when you make your vacation reservation will assure you of their services, as we do not want to disappoint you if they are booked up in advance when you arrive. 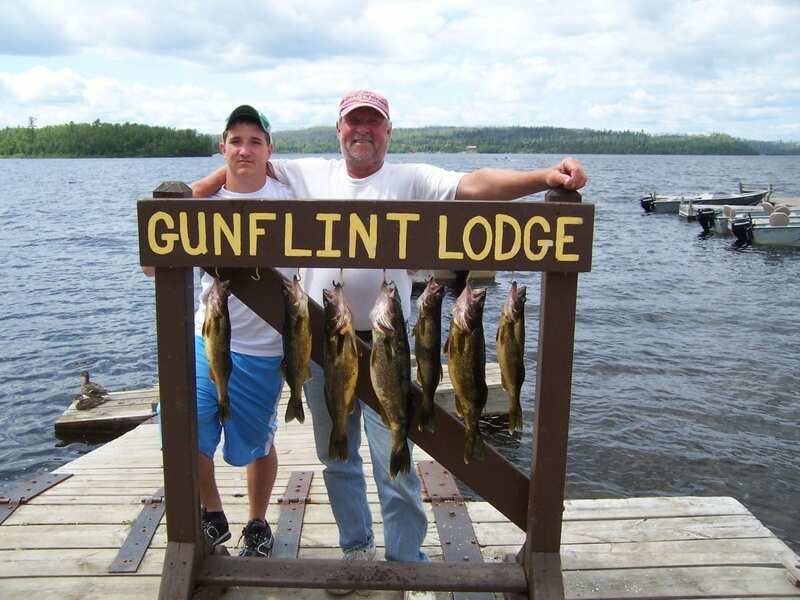 Gunflint Lake is a perfect lake to rent a boat and motor and go exploring. There are waterfalls that you can visit, islands to stop at for a lunch break, sandy beaches to play at, and of course there are many fishing holes waiting to be found. If you bring your own boat and motor you have a complimentary slip at the dock. Pontoon rentals do require a security deposit be authorized on a credit card during the time of rental. Each pontoon requires $500 be held.